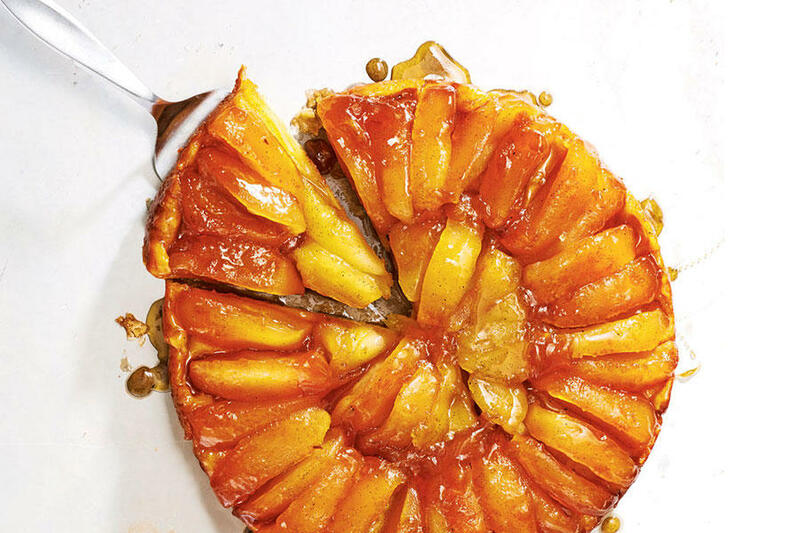 Juicy fall apples are the crowning glory of this classic French upside-down tart. Real vanilla bean accentuates the apples' natural sweetness and adds a warm, inviting aroma. Apple Topping: Meanwhile, peel, quarter and core apples; halve each quarter lengthwise. Set aside. In 10-inch (25 cm) cast-iron skillet, melt butter over medium heat. Stir in sugar and vanilla bean; cook, stirring, for 2 minutes. Spread wet sugar mixture evenly over bottom of pan; arrange apples over top, overlapping and wedging tightly to fill pan. Cook, gently stirring and turning apples and basting with liquid by tipping and rotating pan, until apples are tender and syrup is thick and golden caramel in colour, about 30 minutes. Remove from heat; sprinkle with salt. Refrigerate pan on rack for 20 minutes. Discard vanilla bean pod; carefully rearrange apples in pan into overlapping concentric circles. On lightly floured work surface, roll out dough to 11-inch (28 cm) circle. Drape loosely over rolling pin; unroll over apple mixture, tucking edge in between pan and apples. Cut 4 steam vents in centre of dough. Bake in 425F (220C) oven for 10 minutes. Reduce heat to 375F (190C); bake until crust is golden, 20 to 25 minutes. Let cool in pan on rack for 5 minutes. Invert heatproof platter over tarte. Wearing oven mitts, turn pan upside down onto platter; carefully lift away pan. 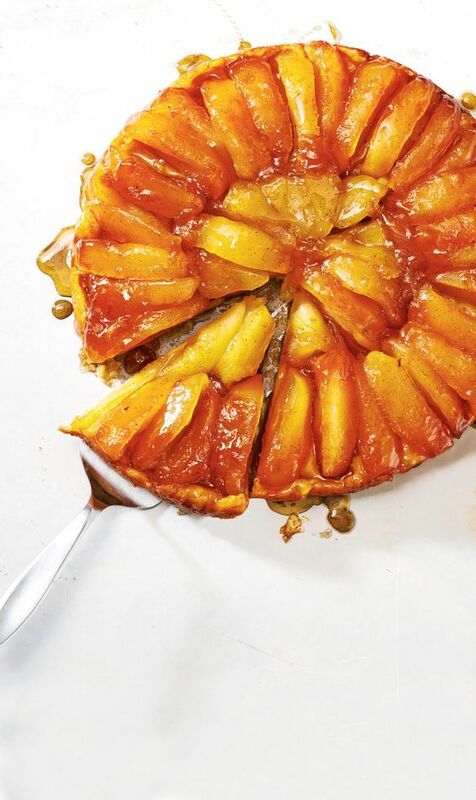 With spatula, remove any apples stuck to pan and arrange over tarte. Spoon any pan syrup over top; let cool for 5 minutes before serving. 0 Response to "THE ULTIMATE TARTE TATIN"